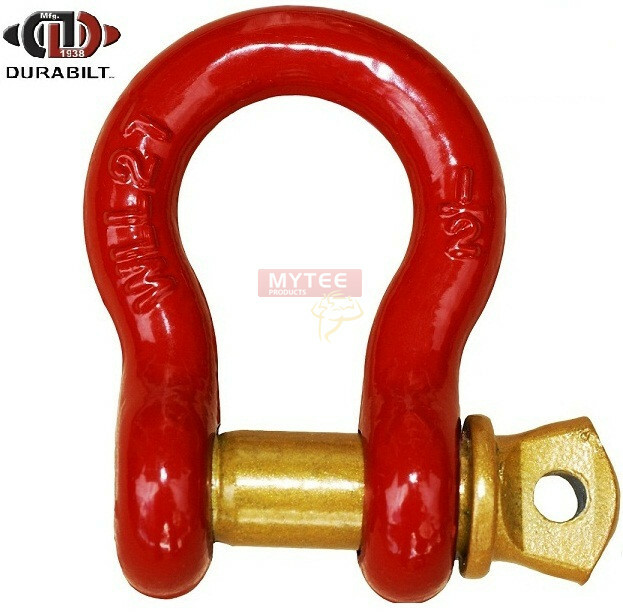 Anchor Shackles have larger shackle body per given size and pin diameter is the same as the body diameter. The circular body permits multi directional load handling but only so long as the direction of the load is in the plane of the bow AND appropriate adjustments to WLL is made based on the angle of the load. Forged Steel is a good balance of all worlds. Forging brings about the advantages of heat treatment and tempering. However, the absence of alloys keeps costing economical. The metal is galvanized and the thin layer of zinc lends some corrosion resistance. This Shackle has a Screw Pin. It can be tightened and loosened by hand initially but with ongoing use, pliers may need to be used. Due to easy removal and tightening, good for applications where shackle is frequently removed. Not good for applications where pin is subject to torque. To be safe, Screw Pins Require 'Seizing' with double turns and twist of soft stainless steel or Monel wire. Alternately, electrical cable can also be used so the screw pin does not undo itself.